Thank you Becky, I really did get lucky with him and he was such a star I thought he deserved his own spotlight! oh wow . . great shots and what a lovely video. I’m so glad you gave him a post all of his own. Lovely pics of this warbler, especially the one of it singing its heart out. Nice to hear its song – thank you. Astonishing that such small birds migrate so far – bird migrations never cease to amaze me. 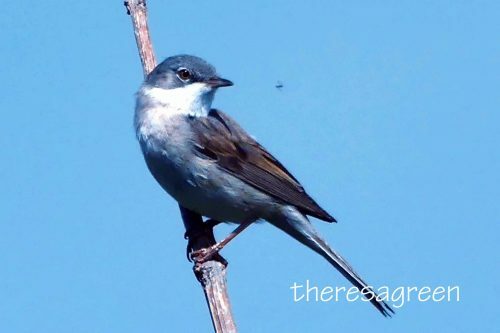 I gather it migrates to the more arid regions of southern Africa, including in Botswana – such a contrast to its habitat in your region, but it is a non-breeding migrant when here. It doesn’t get a mention in my bird books, perhaps because (and I have just Googled it!) it mostly visits only the most northerly fringes of South Africa and then northwards up as far as Ethiopia and Senegal. Thank you for your comments and your interesting research. I rarely get such close views of birds singing out in the open like that, most fly away as soon as they spot me. Having long enough to record it on video was a real bonus, you get so much more of the ‘gis’ of the bird and its song which is so hard to describe in words. I agree that migration is quite mind-boggling,having lived in Southern Spain I’ve been lucky and seen it at both ends and in the passage stages. 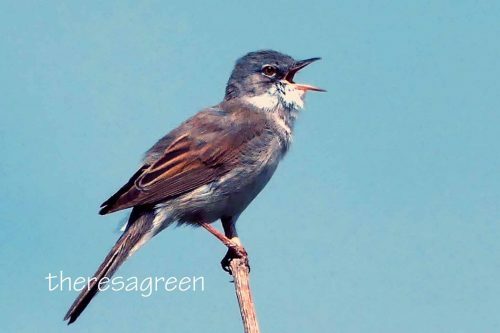 Many Whitethroats pass through the region in Spring and Autumn on their way to Northern European sites and others stay to breed, migrating out again in the late summer-early autumn. All in the cause of raising familes and the pursuit of food! Who said birds were free?! I must have so interesting to experience “other end” of the migrations in southern Spain. You are so right that being free as a bird is actually very hard work, when you stop to think about it. 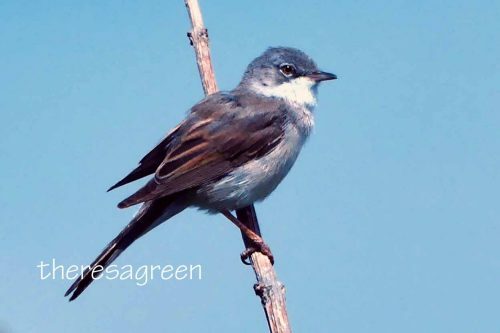 I hope you get so see more Whitethroats again while they are still around this summer. Thank you Ruth, so glad you enjoyed him.